Turning Point Express® Mach3 Right Hand Stainless Steel Propeller - OS-1611 - 3-Blade - 15.625" x 11"
Express® Mach3 Right Hand Stainless Steel Propeller - OS-1611 - 3-Blade - 15.625" x 11"
Utilizing almost 40 years of race boat and high performance prop design expertise, our Express® Mach3™ series of props captures all the best techniques and technologies available to get the most out of your boat. Aggressive pitch angles, radical designs, sharp cup profiles. These three blade propellers excel at achieving maximum speed, while delivering Best-in-Class handling and acceleration. Hole Shot? Got it, and hang on! Cornering? We've got that, too! Top Speed? We say "No Faster Prop on the Water" for a reason! 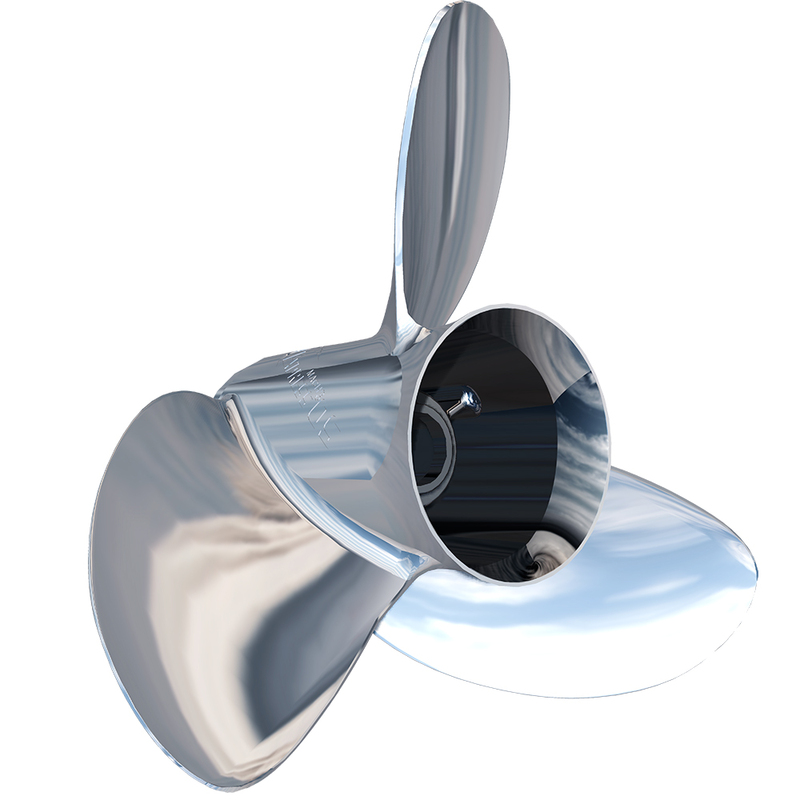 Upgrading your current propeller from aluminum to stainless steel, or from an old generation design to the latest technology, Express Mach3 Propeller is the best investment in boat improvement you can make. Today's Designs will run circles around the competition, and can make dramatic improvements in boat performance. The gain in fuel economy can often pay for the cost of a new propeller in one or two seasons, making it a sound investment in your time on the water. Express Mach3 props are available for 9.9 (Bigfoot) to 300+hp outboards and sterndrives.